Alcoa’s (AA) stock price traded 7% higher on Monday morning, after Aluminium prices popped by as much as 3%. The market is evaluating the impact of the recently-announced US sanctions to be imposed on Russian oligarchs. 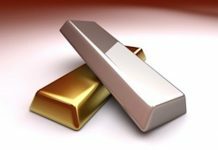 The sanctions include Oleg Deripaska, who owns a stake in the world’s second largest aluminum producer Rusal. The company lost 50% of its value earlier today. It is said that one man’s heaven is another man’s hell. And if Rusal is in hell today, then Alcoa is in heaven. The company will benefit from the higher aluminum prices resulting from the effective reduction in supply from the sanctions. Looking at the weekly chart below for AA, we can see that the stock completed the declining phase of its most recent market cycle. As such, it is now beginning the rising phase of its current cycle. 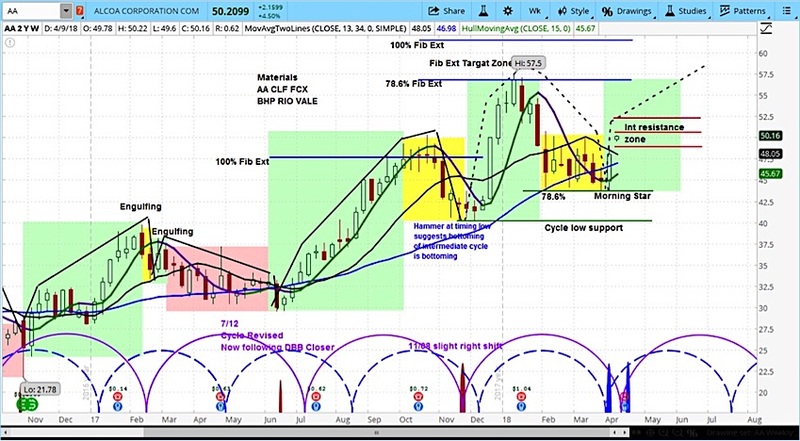 We discussed Alcoa’s bullish chart setup in the latest episode Market Week. Our target is for AA to reach $58 within a couple of months. For an introduction to cycle analysis, check out our Stock Market Cycles video, or watch the askSlim Market Week show every Friday on our YouTube channel.